Error code 0x8000000a SD card is associated with image files being installed on memory card and usually appears when there is some issue with the pictures. 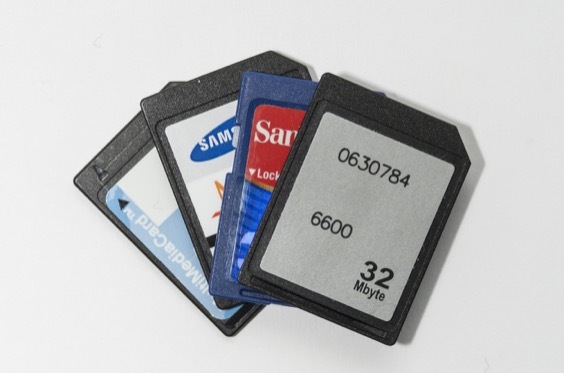 Sometimes, when you try to open or transfer the images using any particular program from the SD card to the hard drive, the respective error is generated and access is denied to the installed photos thus making them unreadable. Generally, when you attempt to access images using Windows Live Photo Gallery, the error code 0x8000000a takes place. While using the program, when you select the option “View Pictures Using Windows Live Photo Gallery” this message occurs eventually and prevents access to the particular file. Alternatively, selecting “Import Pictures and Videos Using Windows Live Photo Gallery” will make the tool work as expected. Error code 0x8000000a stating “An error is preventing the photo or video from being displayed” appears in Windows Live Photo Gallery when you attempt to select the option that says “View Pictures using Windows Live Photo Gallery”. Alternatively, when you select “Import Pictures and Videos using Windows Live Photo Gallery”, the persisting error may be resolved. Windows Live Photo Gallery offers a comprehensive solution to download, transfer, edit and share photos. The functionality to transfer photos from the camera to the system drive is quite simple and straightforward. The following procedure will help import images from the SD card to the system drive successfully with the help of Windows Live Photo Gallery. To get started, ensure that the digital camera or the SD card is connected to the computer. Note: Select the SD card you wish to import data from to the hard drive. Select Review, organize and group items to import or Import all the new items now. The above stated procedure may help resolve error code 0x8000000a if associated with the SD card and the images stored within; however, the resolution to this error is limited as mentioned above. Occurrence of this error message at times makes the image files corrupt and inaccessible. If in case the SD card images turn corrupt while resolving the 0x8000000a error, you can employ Stellar Phoenix Photo Recovery software to recover the files and retrieve photos. The tool works on all types of SD Cards and other external and internal storage media to recover corrupt image files and restore them to the hard drive seamlessly! Guest article written by: Sumona Chatterjee. Sumona is a technical blogger and writer. She has over 2 year experience in Photo Recovery technology. On her free time she writes about technical tips and tutorials. this post is very informative. Bookmark this page to read it again if necessary.